Originally from the west Texas town of El Paso (cue Marty Robbins song of the same title), his shyness forced him to drop out of his first performance. But after seeing a vibrant Viva El Paso! production and taking a theatre class, Kenneth realized acting was a unique opportunity to live another character’s life. Though the role of Kyle is almost a shell of Kenneth’s self; as Kyle he will gladly endeavor to make the best herbal teas, keep his plants happy, and put up with the world’s worst roommate. 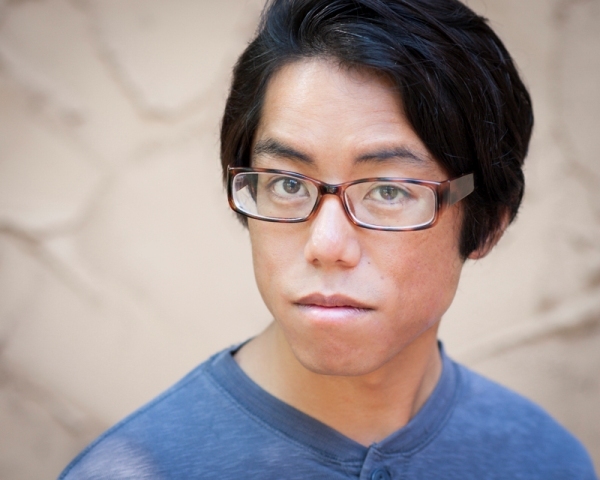 Kenneth’s most recent film role was playing the bullied-turned-aggressor, Hiro, in Evocation of Shinigami from R.W. Films. He can also be seen as the smug pub-quiz leader, Standish, in Imaginary Numbers from Gaylord Street Films. This entry was posted in dungeons & dragons, roleplaying, web series, web show and tagged comedy, dnd, dungeons & dragons, gamer, gaming, geek, humor, kenneth berba, roleplaying, rpg, web series, web show. Bookmark the permalink.